It is with heavy hearts we are sad to report the passing of our dear friend and General Manager, Scott Welcher. Scott passed away too soon at 56 of complications from a short and unexpected illness in the early morning of January 15th. 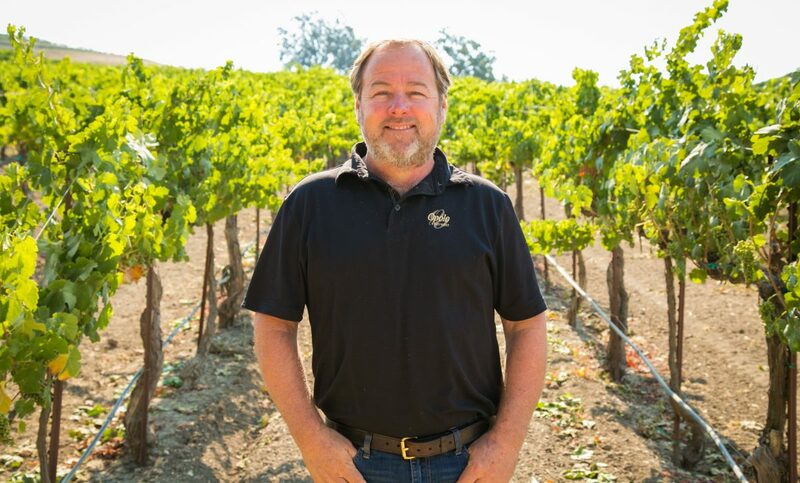 Scott’s contributions to the Paso Robles wine and agricultural community over the past thirty years have been immense. Scott’s spirit, kindness, his smile and friendship will be truly missed. A celebration of life will be held in the spring, more information to follow. While we’ve appreciated this year’s rains, there was an adverse effect to the heavy storms. 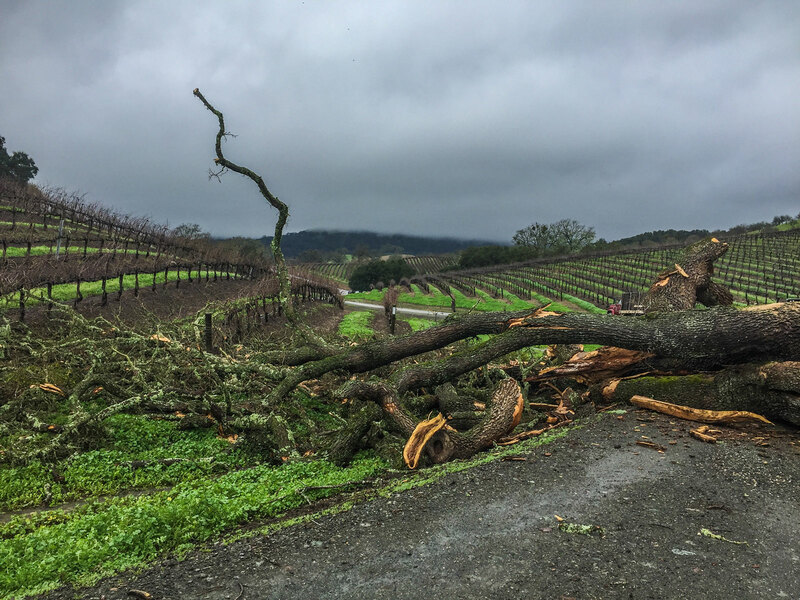 In February, the large oak that greeted guests on their way up to the hilltop came down during the storm with heavy rain and winds. Thankful that no one was injured, we called out an arborist who let us know the tree was around 400 years old. 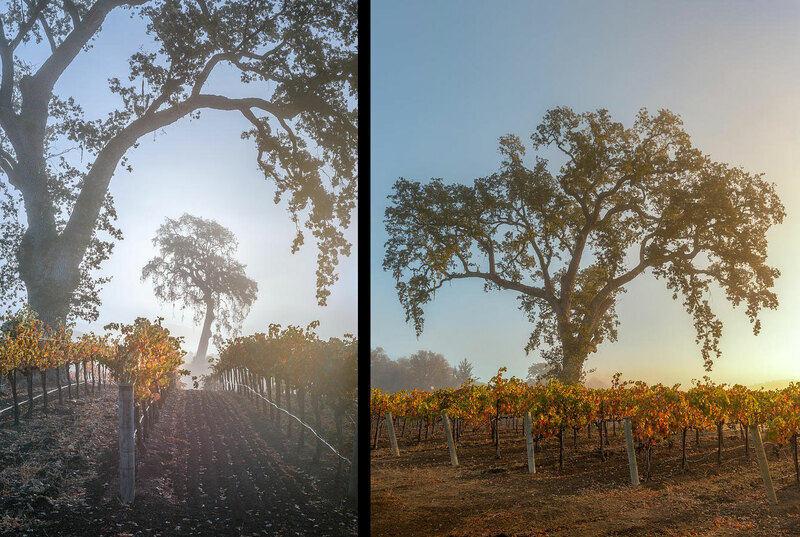 We’re grateful that the rest of our oak trees are standing tall and strong. 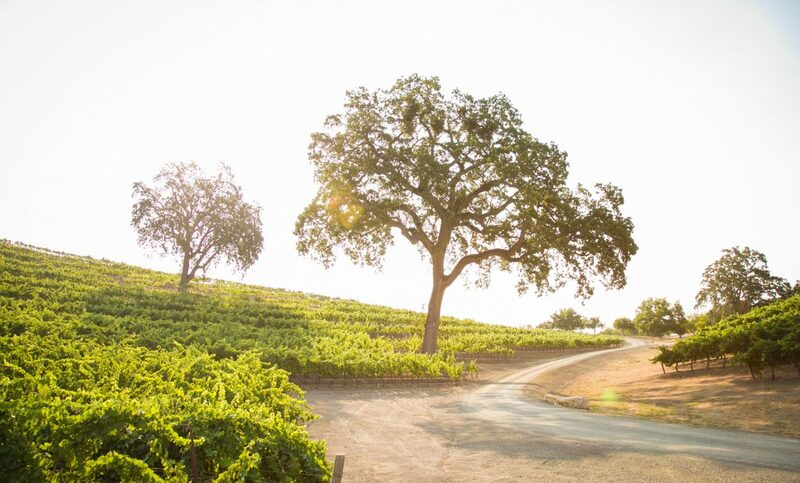 Not only are the oaks a beautiful symbol for Paso Robles, but they provide shelter and support for the vineyard’s ecosystem. We’ve thrown the switch! 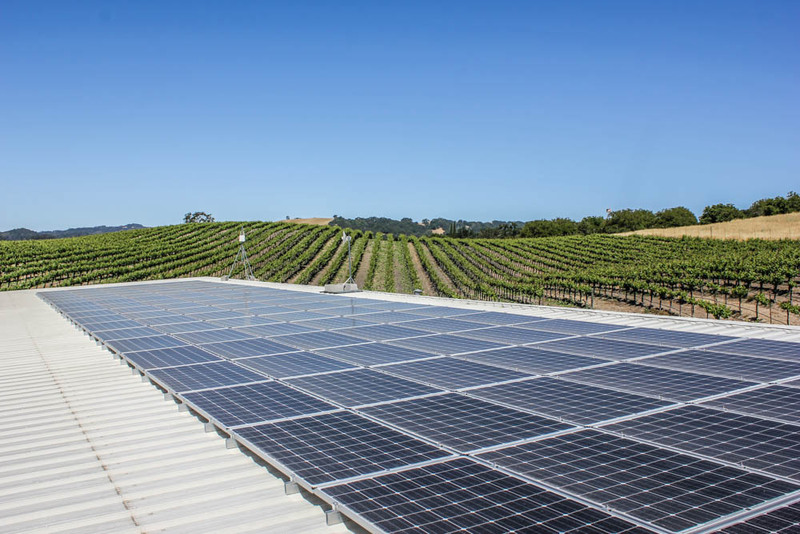 We’re live with our new solar installation on the roof of the tasting room. Opolo is now spinning the electrical meter backwards, providing 100% of our daytime electrical needs and supplying an additional 11 kilowatts back into the grid. It seems we have been saying the Farmers Credo for the past several vintages. The phrase goes something like this, “Well there is always next year” or “Next year will be better”. Sometimes wine grape growing and winemaking can be a strategic game of perseverance. Well in 2015 Opolo not only persevered but we won the battle with exceptional quality and fell short on yields. It was a tough battle with bud break occurring earlier than ever which opens the door for possible spring freezes and resulting bud wood damage. January was unseasonably warm with February, March the beginning of April giving us fog laden mornings and cooler than usual temperatures. Once clear of frost potential we moved ahead anticipating the summer months to come. As bloom occurred we began to see the affects of the moist cool months of March and April with pollination taking longer than usual and the flower caps not releasing from the berries. The result was grapes that could not self-pollinate because the male flower parts were “trapped” under the caps. When the berries do not pollinate, they do not develop resulting in what we call “shatter” thereby reducing yields. The degree of shatter was very variety dependent ranging from very little in Merlot and Malbec to devastating in Cabernet Sauvignon and Roussanne. 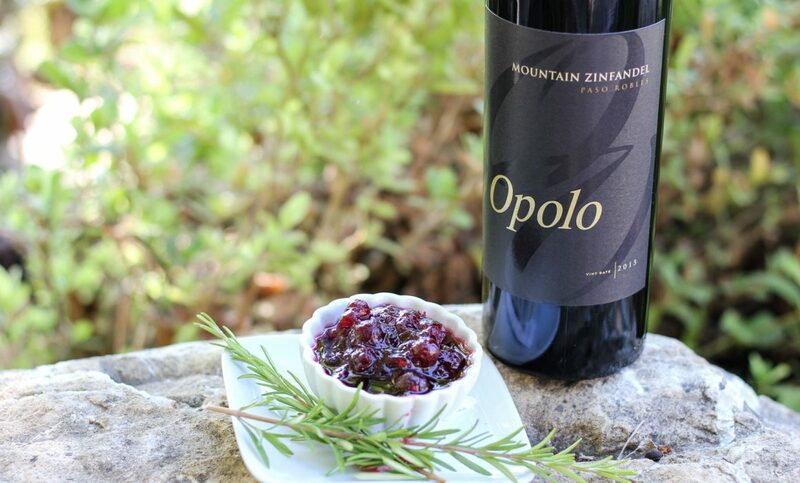 Uncommon summer monsoonal rains also provided another dimension to the 2015 growing season as Opolo experienced several two inch plus storms providing much needed rainfall only at the worst time possible time in the wine grapes development. As the summer progressed, the degree of shatter became even more evident along with the first signs of cluster weights that appeared to be smaller than normal due to the lingering effects of the California drought and salt build up in the soils. 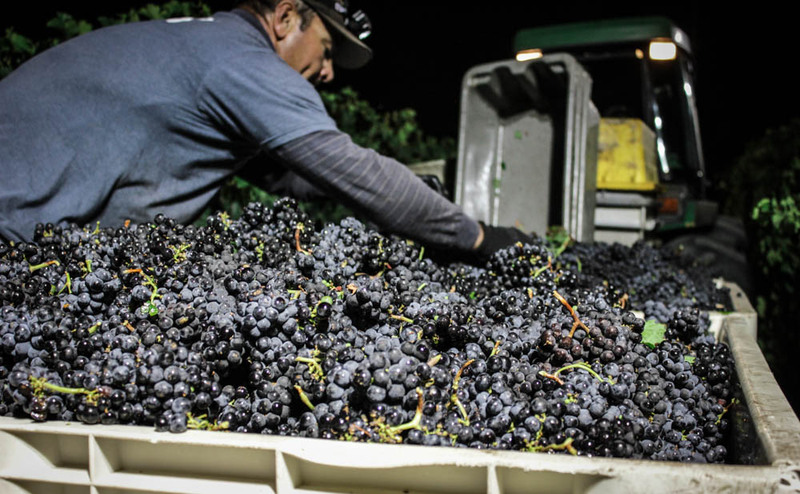 As harvest kicked into gear the light yields and elevated temperatures resulted in the fruit ripening very rapidly with intense color, thick skins, and wonderful balance. Harvest was over by the beginning of October resulting in the earliest and most rapid harvest on record! In the end, the average yields for Opolo, and across the state, were off by 40%. 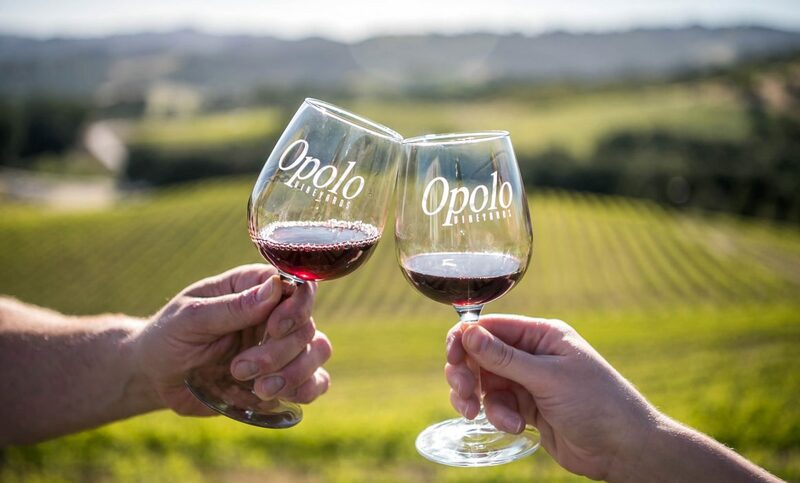 Opolo persevered due to the hard work and dedicated vineyard and winery staff who worked countless hours to bring in the harvest. During the last two weeks of August and all of September Opolo was a 24 hour operation. With relentless attention to detail, and no attention to sleep, the Opolo consumer will experience a very, very high quality 2015 vintage. Be sure to taste the 2015 vintage as soon as it becomes available as with anything in life, if it is outstanding, it will be in short supply!